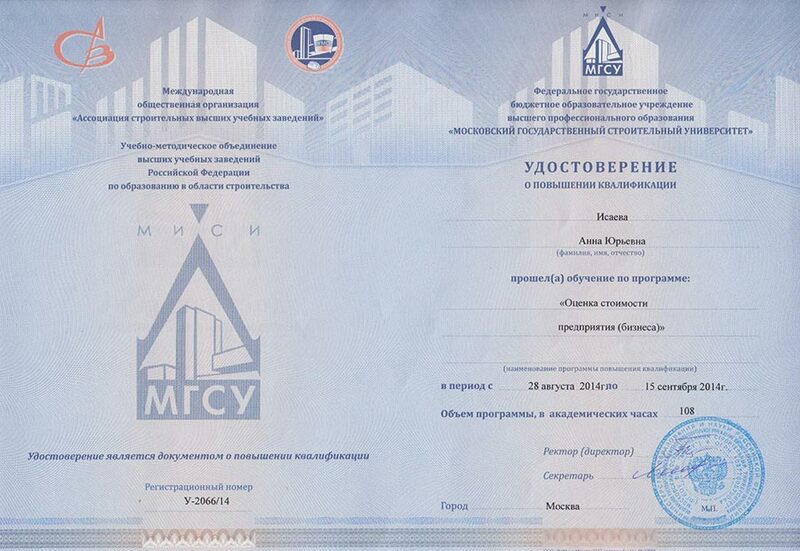 Anna Isaeva, General Director (CEO), MRICS. Anna serves clients providing valuations of all types of property practice from 2002. Anna’s experience covers a wide range of services including financial analysis of businesses, business valuation, securities, intangible assets, commercial real estate, valuation of investment projects, and business planning. 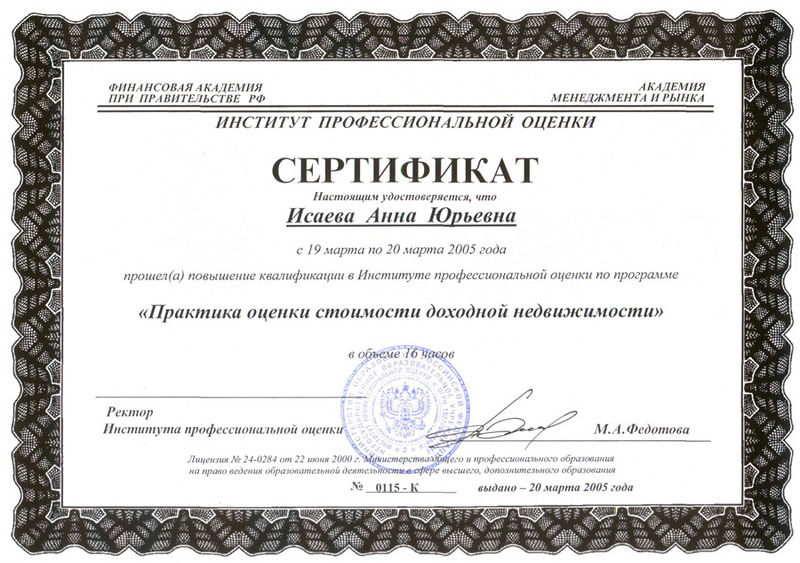 In 2002 Anna was awarded the Master Degree from the Faculty of Economics and Management of Construction and also was retrained in business valuation in the Moscow State Construction University. 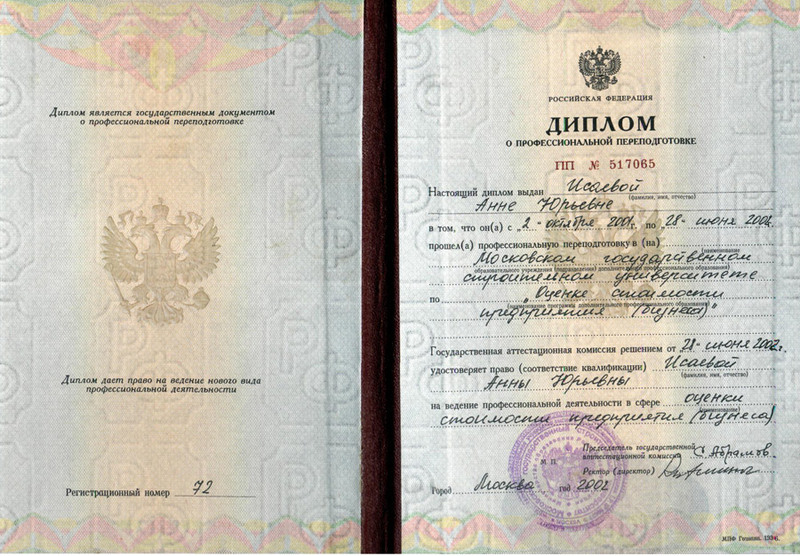 Before joining Professional Group of Appraisal LLC, Anna worked for the Center of Independent Property Expertise (Top 10 valuers of Russia), where her experience covered large projects of realty and business valuation (equity stake of Bogorodsk Ryba ZAO (now “Russkoye More”), equity stock of the 9th taxicab fleet OAO, rents for the Moscow Tchaikovsky Conservatory, equity stake of Zvezdny confectionary bakery combine and many other projects). 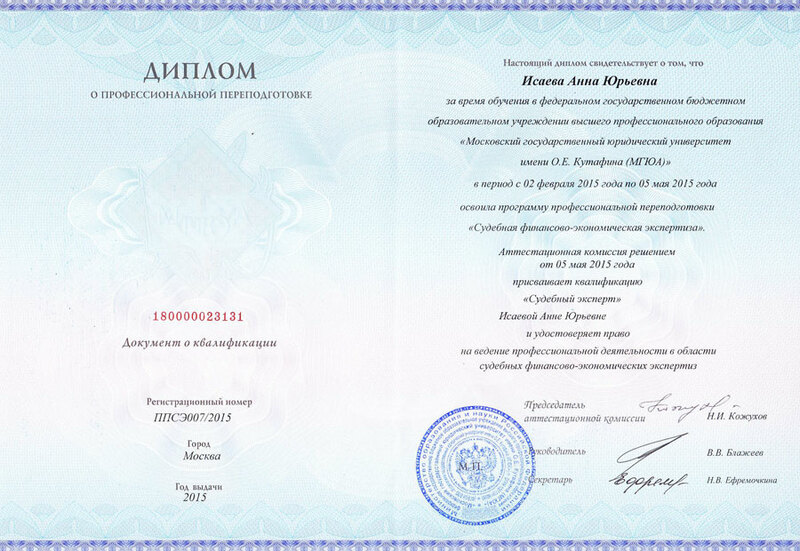 In 2004 Anna and her partners established Professional Group of Appraisal LLC where she is in charge of the administrative and staff management functions; also she is responsible for and leads the Valuation Department (quality control over the performed projects, development of a valuation division and improvement of methodological procedures). In December 2014 Anna passed the qualification exam and became a full member of RICS (The Royal Institution of Chartered Surveyors). 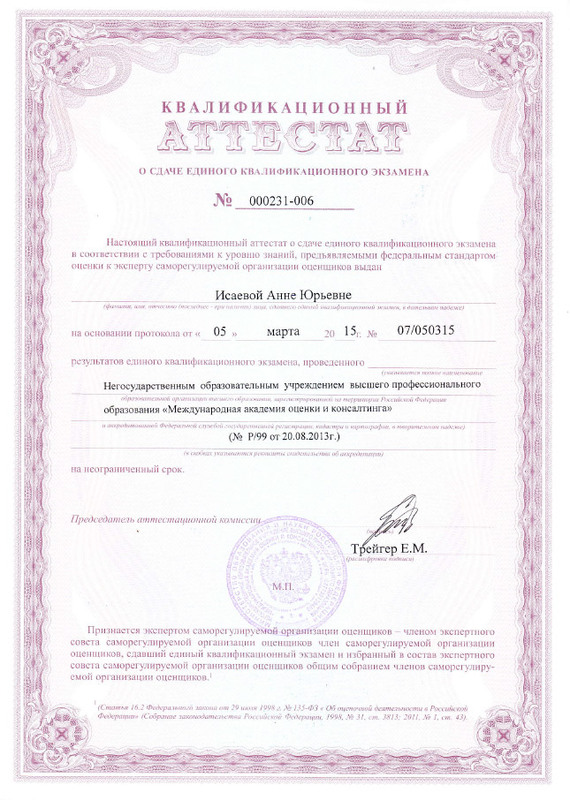 In March 2015 Anna passed the Uniform Qualification Examination in compliance with the requirements of Federal Expert Valuation Standard to the level of proficiency and obtained Certificate No. 000231-006. Anna is a member of All-Russia Public Organization Russian Society of Appraisers (ROO) and is included in the Valuers Register under the registration number No. 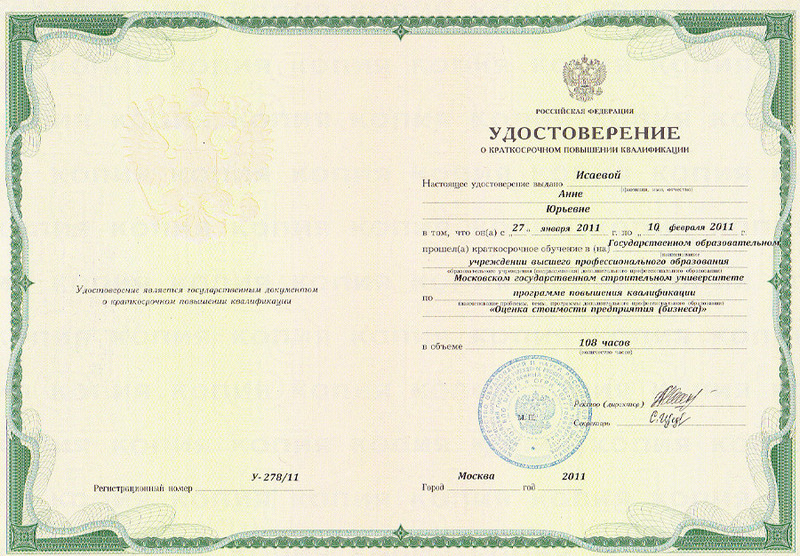 00121, issued on 9 July 2007. 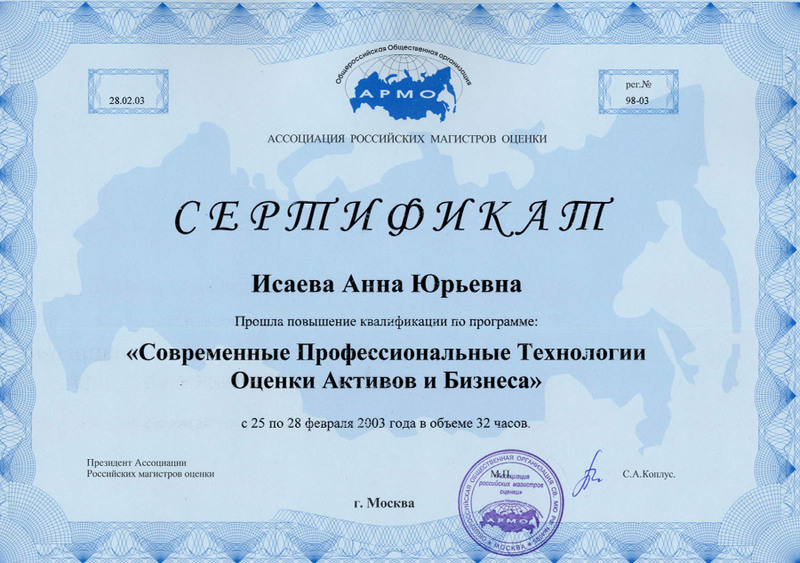 Anna worked with the clients ranging from banks, investment funds, developers and construction companies, to production companies, both Russian and internationalе. 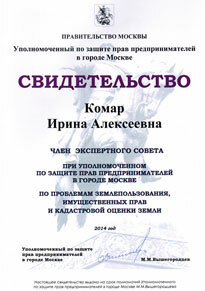 Irina Komar, Managing Partner, MRICS. 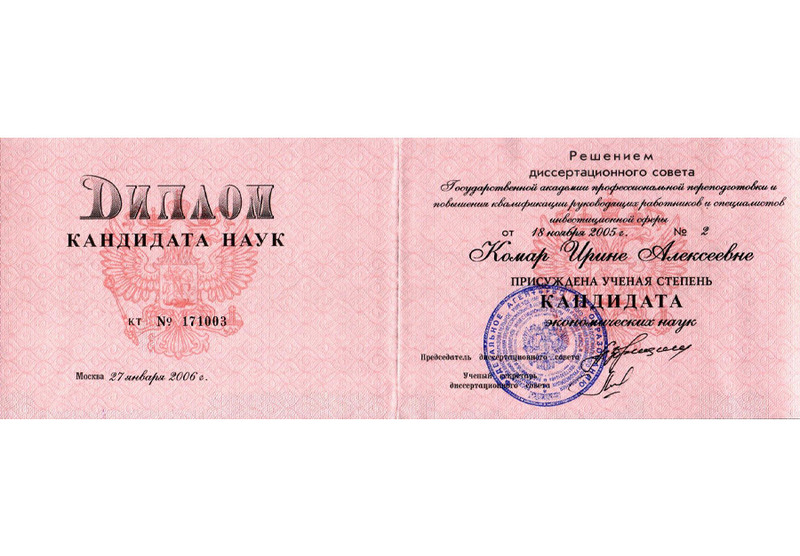 Irina serves clients providing valuations of all types of property practice from 2002. 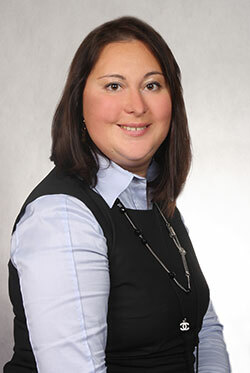 Irina’s experience covers a wide range of services including financial analysis of businesses, business valuation, securities, commercial real estate, valuation of investment projects, and business planning. 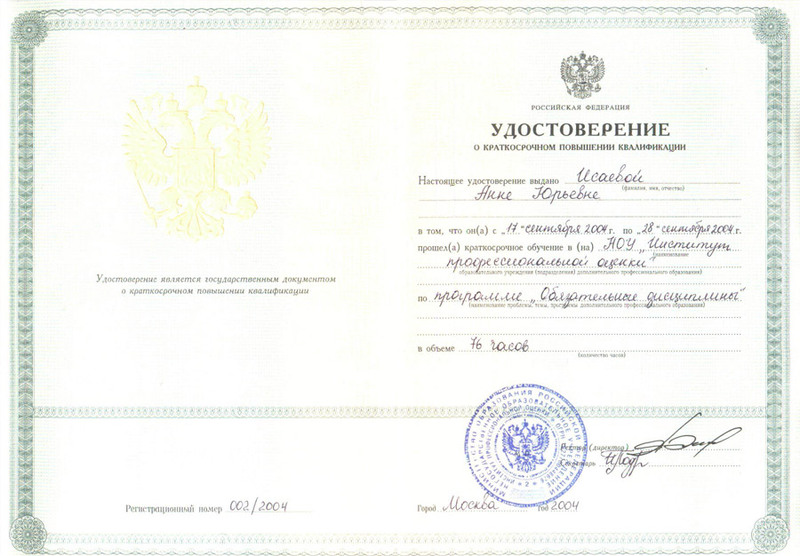 Since 2007 on, Irina also provides economic expert testimony in court. 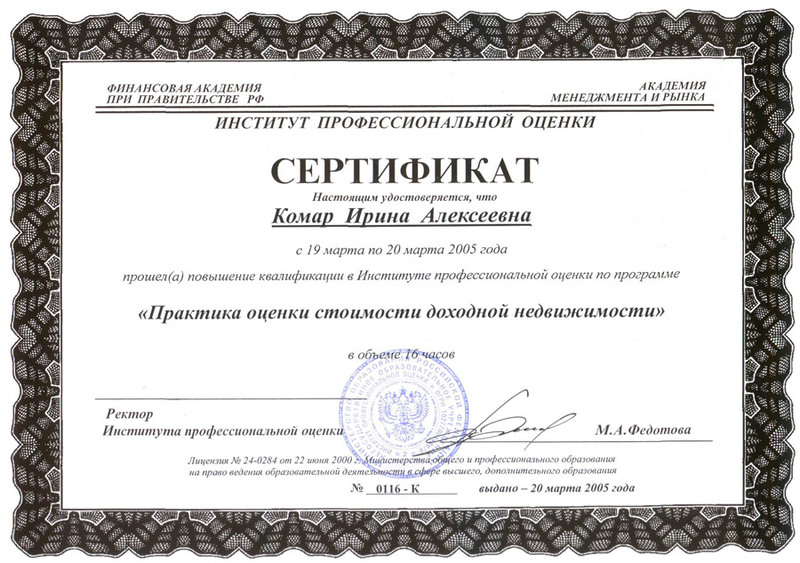 In 2002, Irina was awarded the Master Degree from the Faculty of Economics and Management of Construction and also was retrained in business valuation in the Moscow State Construction University. 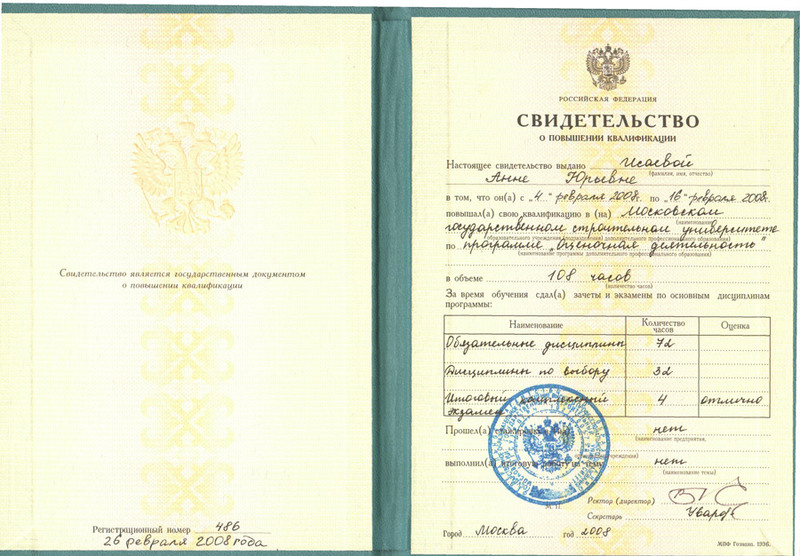 Before joining Professional Group of Appraisal LLC, Irina worked for the Center of Independent Property Expertise (Top 10 valuers of Russia), where her experience covered large projects of real estate and business valuation (valuation of JSC Rot Front, JSC Red October, Concern Babaevsky, all Moscow confectionary factories, valuation of Bank of High Technologies, CB Guta-Bank CJSC, Perm Engine Company OJSC, Aviadvigatel OJSC, valuation of Enocell OY (Finland)) as well as many other projects. 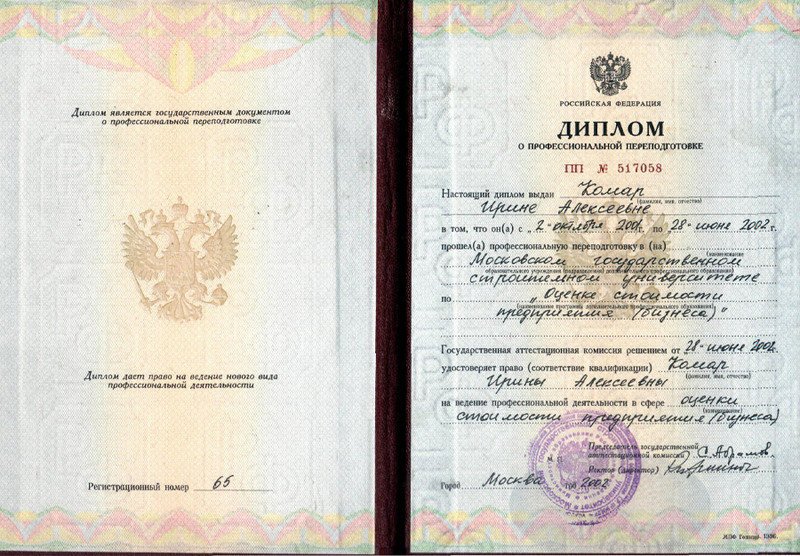 In 2004 Irina and her partners established Professional Group of Appraisal LLC where she is in charge of operational and strategic management of the Firm; also Irina leads the operations of the Valuation Department (quality control over the performed projects, development of a valuation division, and improvement of methodological procedures). 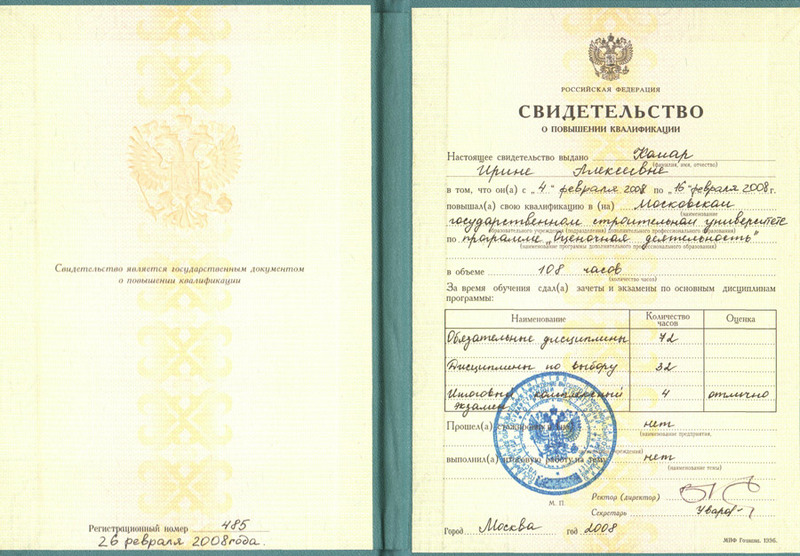 In 2005 Irina earned her Ph.D. in Economics as she successfully defended in Valuation of Investment Projects with Account of Risks. 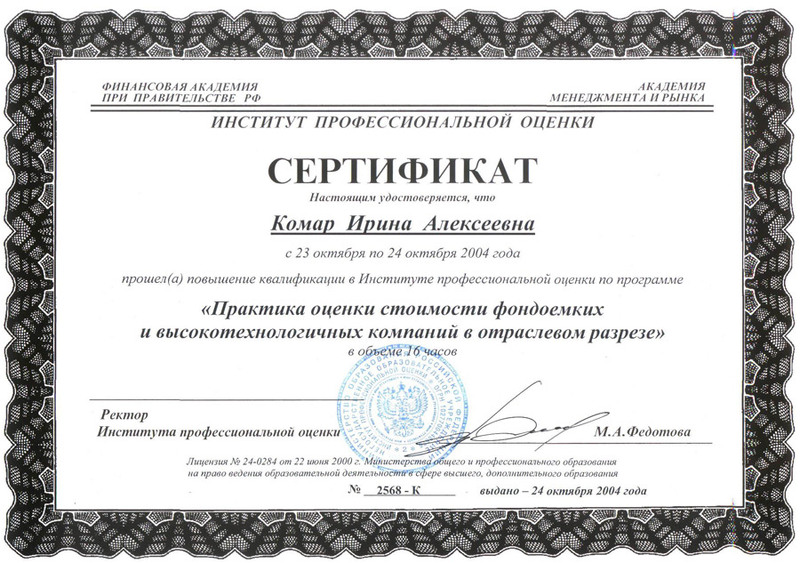 In 2010-11 Irina was a co-author of the webinar labeled “Practice of valuation of investment projects’ market value”, which was launched within the frameworks of the compliance training program with the NOU Professional Valuation Institute. 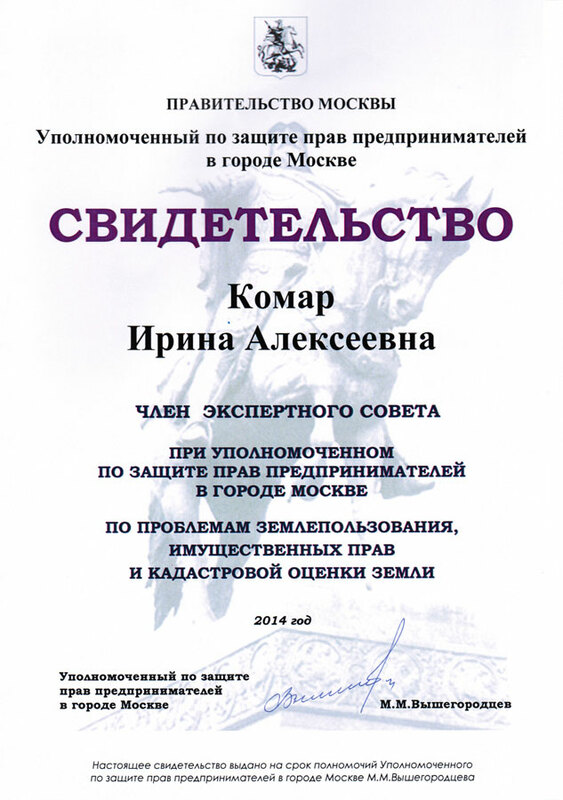 In May 2014 Irina was invited by the Business Ombudsman for Moscow to join the Expert Council for land, property rights and land cadastral valuation of the Business Rights Commissioner for Moscow to take part in the work of the Council. 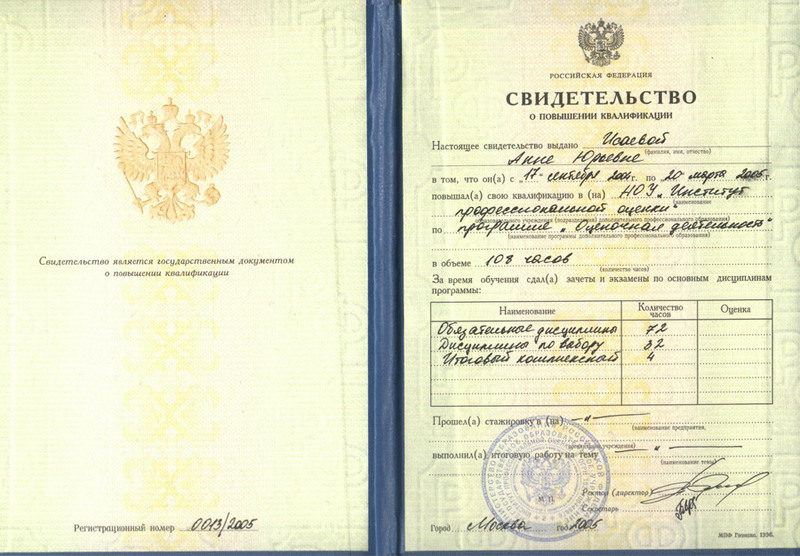 In December 2014 Irina passed a qualification exam and became a full fledged member of RICS (The Royal Institution of Chartered Surveyors). 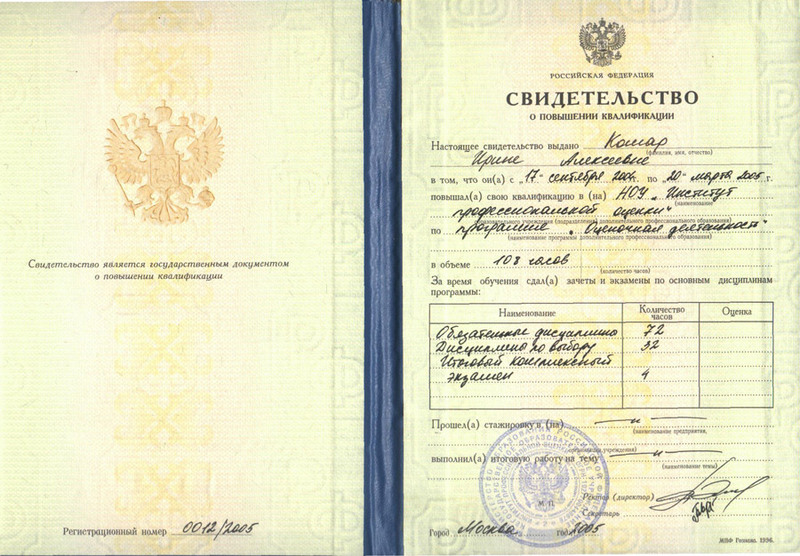 In March 2015 Irina Anna passed the Uniform Qualification Examination in compliance with the requirements of Federal Expert Valuation Standard to the level of proficiency and was awarded Certificate No. 000232-006. 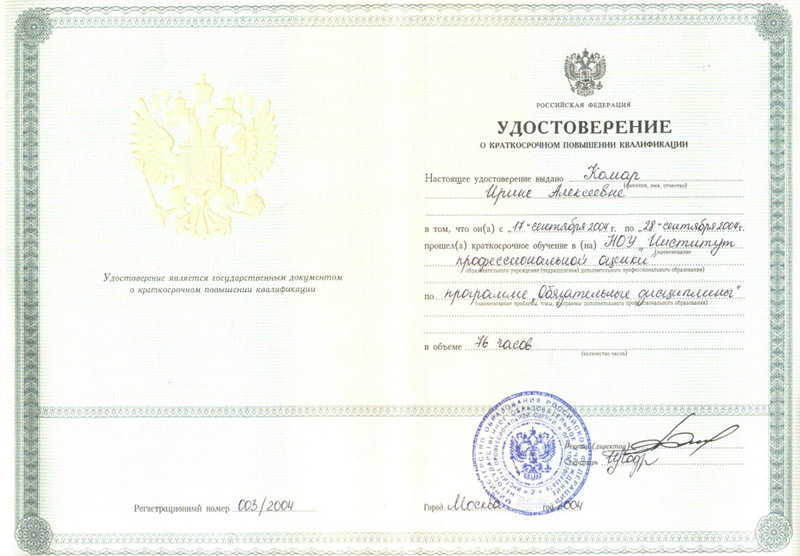 Irina is a member of All-Russia Public Organization Russian Society of Appraisers (ROO) and is included in the Valuers’ Register under the registration number No. 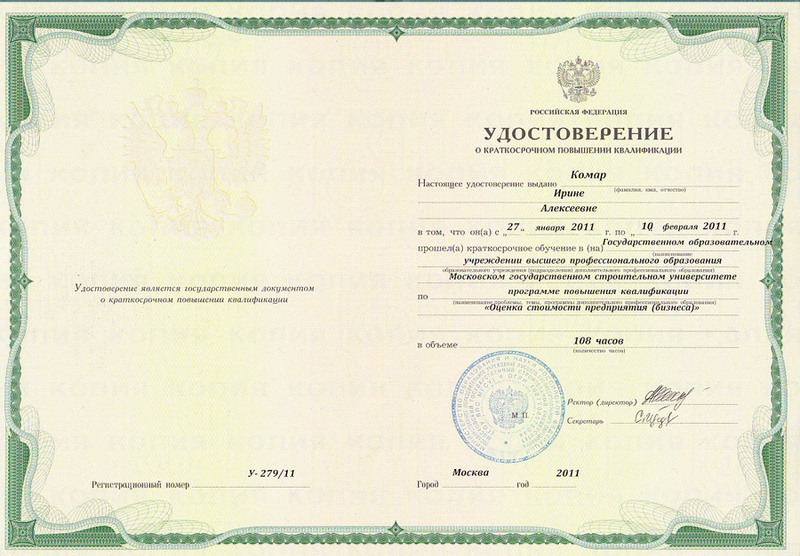 00140, issued on 9 July 2007. 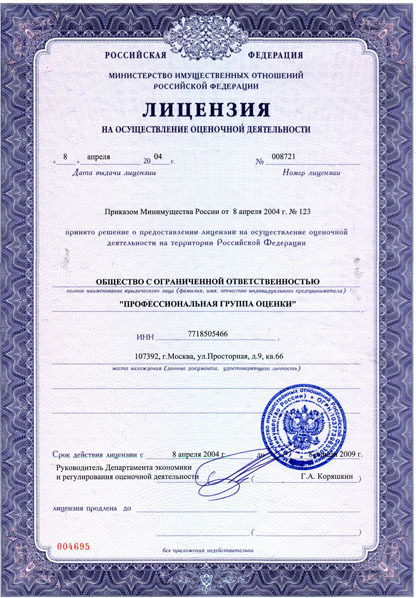 The clients of Irina range from banks, investment funds, developers and construction companies, and to production companies, both Russian and international, as well as top law offices and collegiums. 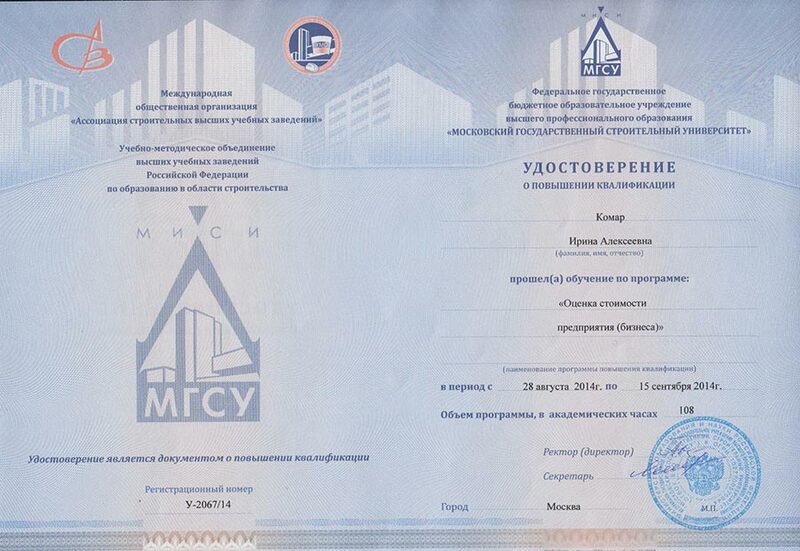 Valuation of large enterprises (OJSC MELZ plant, concrete-mixing plant of KROST concern, ChTPZ-KTS industrial complex , OJSC Dormost, OJSC Mostotrest, OJSC Mosgazsetstroy) and many other projects. 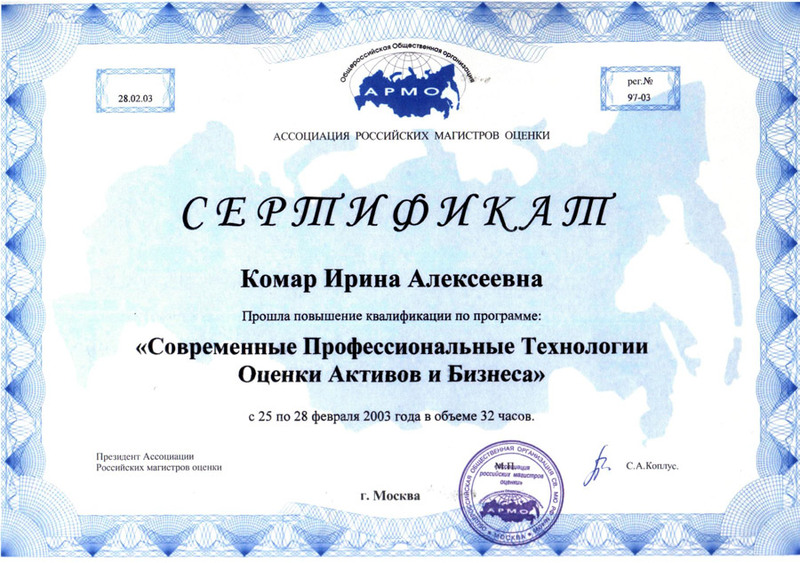 22004 — 2017 © ООО «Professional Group of Appraisal». All rights reserved. All materials may not be published, broadcast, rewritten or redistributed in whole or part with out the express written permission.